All Americans must read this book in order to truly understand the reasons why radical Muslims like Osama bin Laden and his followers have declared war on America and the West. Furthermore, only this book accurately describes the severity of the threat they will continue to pose, with or without bin Laden’s leadership, to our national security. To win the war against terrorism, the author argues that we must first stop dismissing militant Muslims as “extremists” or “religious fanatics.” Formulating a successful military strategy requires that we must see the enemy as they perceive themselves — highly trained and motivated soldiers who fervently believe their cause is righteous. The author describes how militants throughout the Islamic world are enraged by what they believe is Western aggression against their people, religion, and culture. Though bin Laden declared war on America years ago — not once but twice — the author argues that American complacence in the face of such violent threats stems from the increasing secularization and moral relativism of American society and culture. Even if bin Laden is brought to justice, the author warns, the dangers posed by radical Islamic militants will not disappear, and we must be prepared for a protracted war against terrorism. 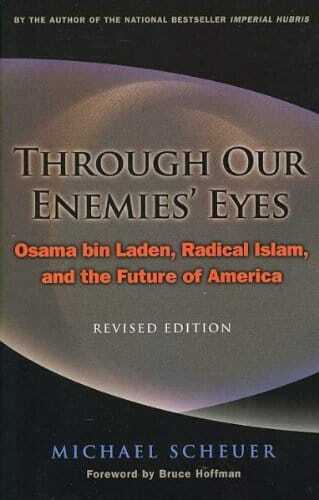 This important book will make a major impact on how America thinks about its enemy and itself.